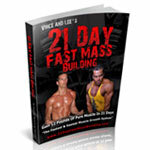 This is my original flagship muscle building program that has been followed by more than 80,000 guys and gals worldwide. 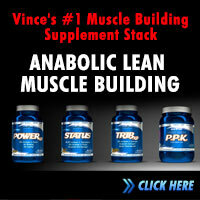 It’s the same system I followed to gain 41 pounds of drug-free muscle in exactly 24 weeks. It’s where I strongly recommend all my students begin. It includes a 6-month program for Beginners and Intermediate trainees and an additional 6-month program for Advanced trainees. 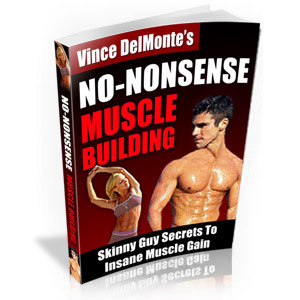 Click here to read more or buy No Nonsense Muscle Building. This is my first 16-month curriculum-based coaching program that is open to students who successfully complete No Nonsense Muscle Building first. This is 16 months of periodized muscle building workouts that focus on 12 untapped targets for igniting new muscle growth. This is a membership based program that includes a 24-page hardcopy newsletter, two hour workout DVD, 90-minute coaching call and private members community. 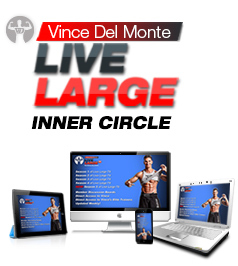 This is my current muscle-building masterpiece and it’s designed exclusively for advanced trainees seeking out the most professional and advanced programming in the world. 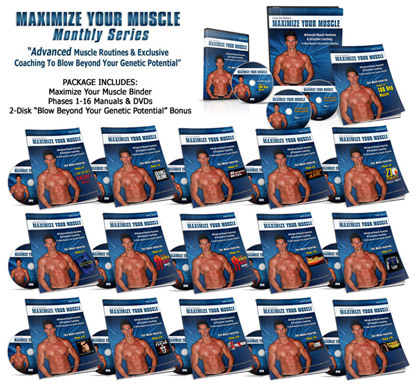 I teamed up with my coach, great buddy and IFBB Pro Bodybuilder Benjamin Pakulski to deliver the only 12-month periodized muscle-building program in the world that includes a 24-page hardcopy newsletter, two-hour workout DVD of the month, secrets from the pros, a 90-minute coaching call and private members community with over 2,089 members. Hypertrophy M.A.X. is currently closed and only opens twice a year. Click here to be added to the waiting list so you’re notified when it re opens. This is an extreme, short-term, 28-day muscle building workout for emergency use only. 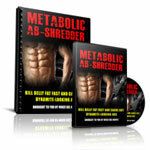 If you’re not as ripped and muscular as you want to be and you’re looking for a groundbreaking program to shock your muscles into submission then you’re going to want to give this a shot. You’ll also get to meet one of the biggest rising stars in professional fitness modeling, Artus “Six Pack” Shakur who is my guest. 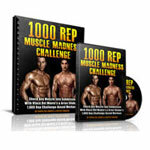 Click here to test out the 1,000 Rep Muscle Challenge. 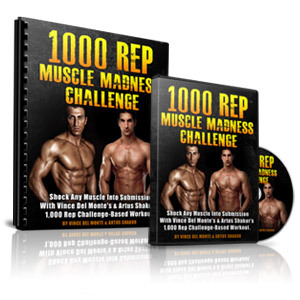 Click here to test out the 1,000 Rep Muscle Challenge. 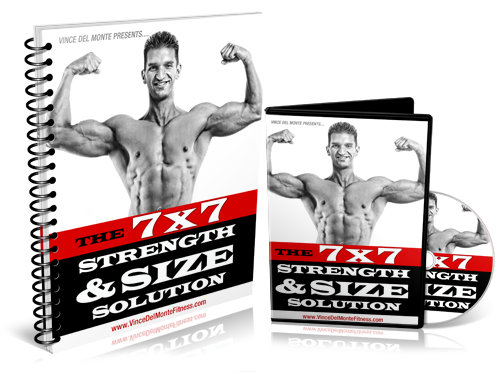 The 7×7 Size & Strength Solution: Building Muscle & Strength at the Same Time! Click here to read more or buy the The 7×7 Size & Strength Solution. If your muscle gains have come to a halt and you’re looking to bust through your plateau then start introducing my best muscle-building and fat-loss exercises that include advanced intensity techniques. 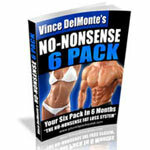 None of these exercises or techniques are included in my other programs so this is a “plateau-busting” owners’ manual. The best part is that you incorporate anything you learn into the workout program you’re currently on. Click here to read more or buy The Best Of Series.